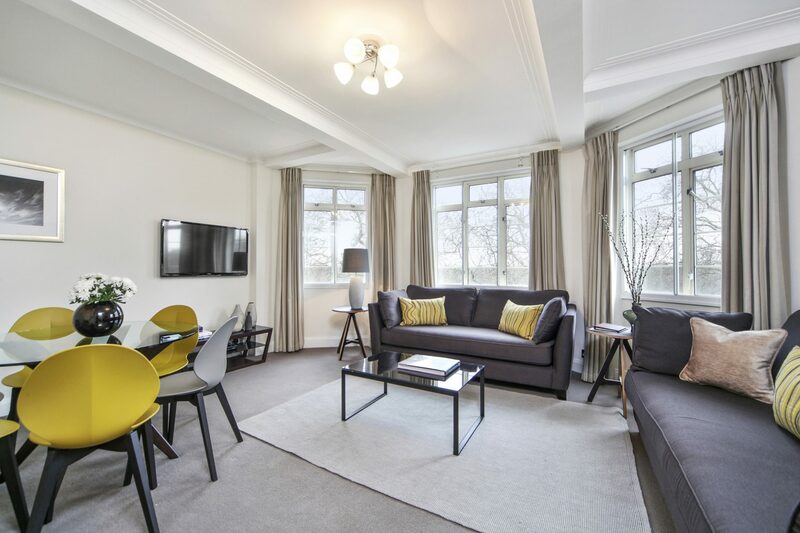 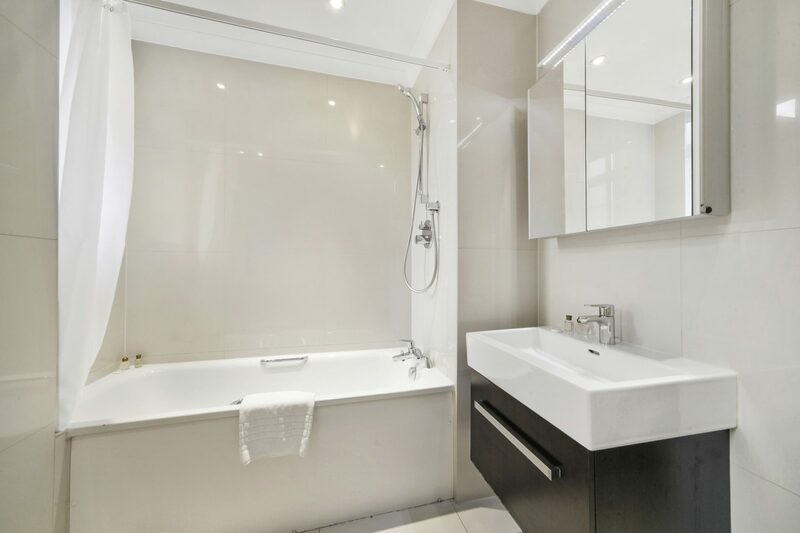 Luxury Serviced Apartments in Bayswater: if a central London location, good transport links and magnificent views of Hyde Park appeal to you, then look no further. 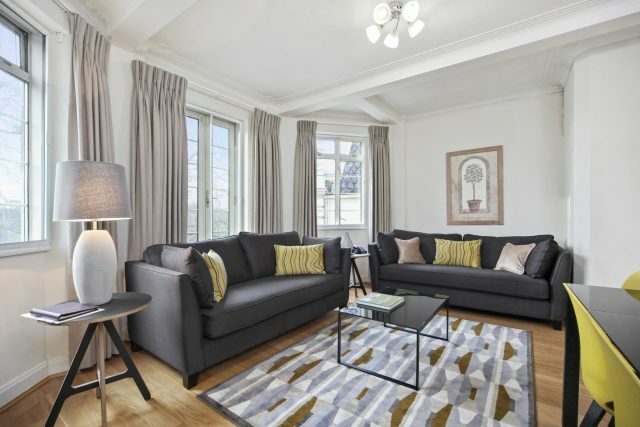 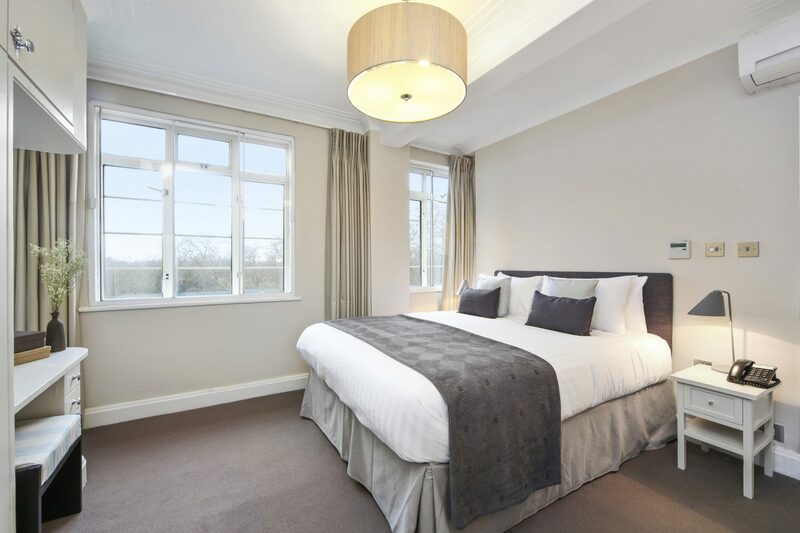 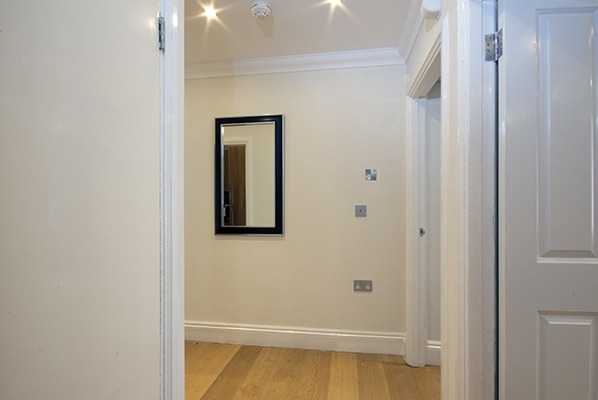 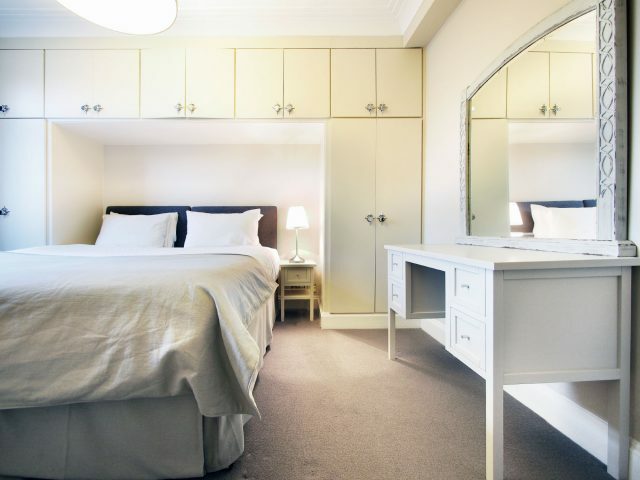 Fountain House is a beautiful property offering 17 serviced apartments situated right across the road from Hyde Park (opposite Lancaster Gate tube station) and within minutes from Paddington Station and the Heathrow Express. 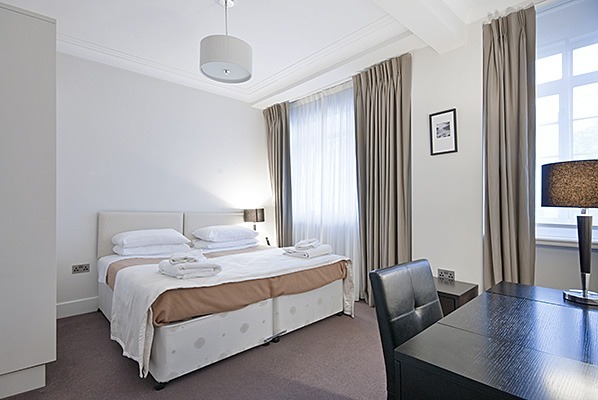 This is the perfect base from which to explore and enjoy the capital with London’s many attractions close by. 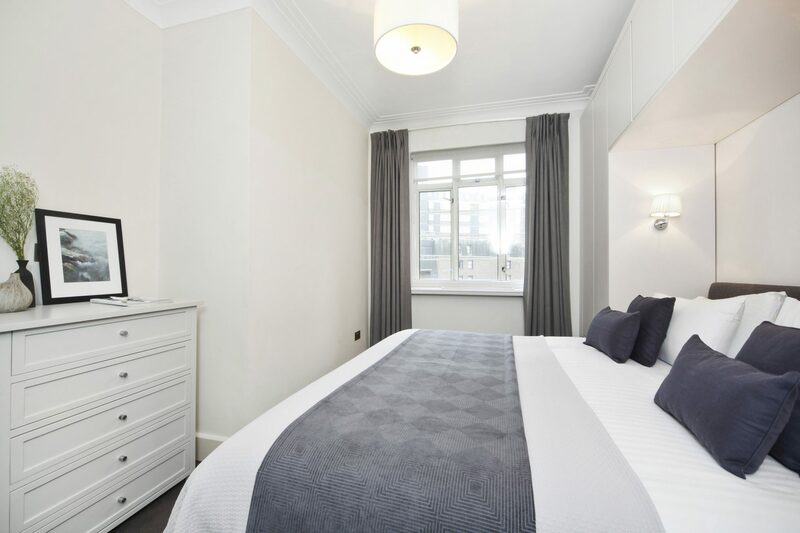 Fountain House is close to the shopping hub of Oxford Street, world-famous restaurants of Queensway, fashionable Notting Hill, Edgeware Road and convenient transport links are on the doorstep. All the apartments are designed for comfort and equipped with modern amenities, including broadband, satellite television, fully-fitted Kitchens and 24-hour monitored security by Reception desk. 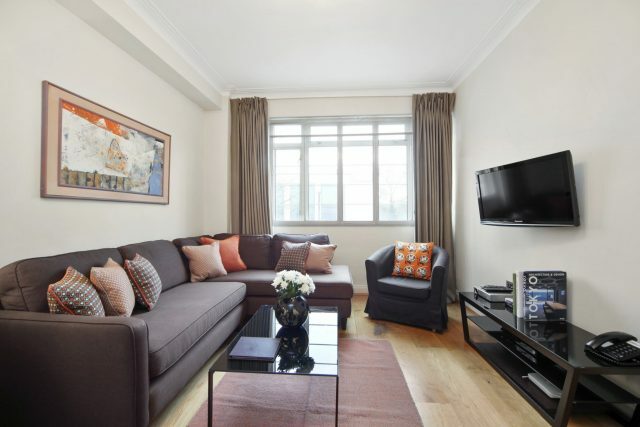 One Bedroom apartment located on the Lower Ground Floor. 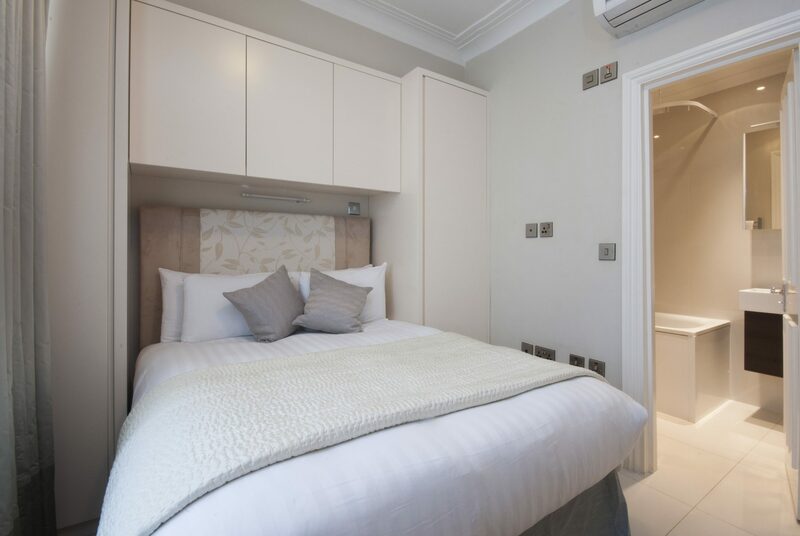 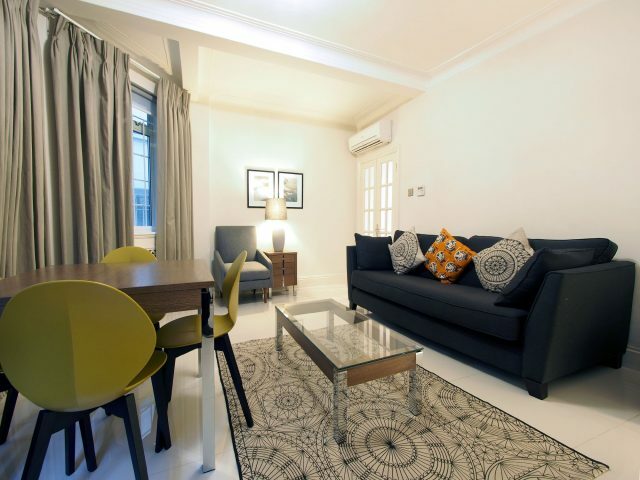 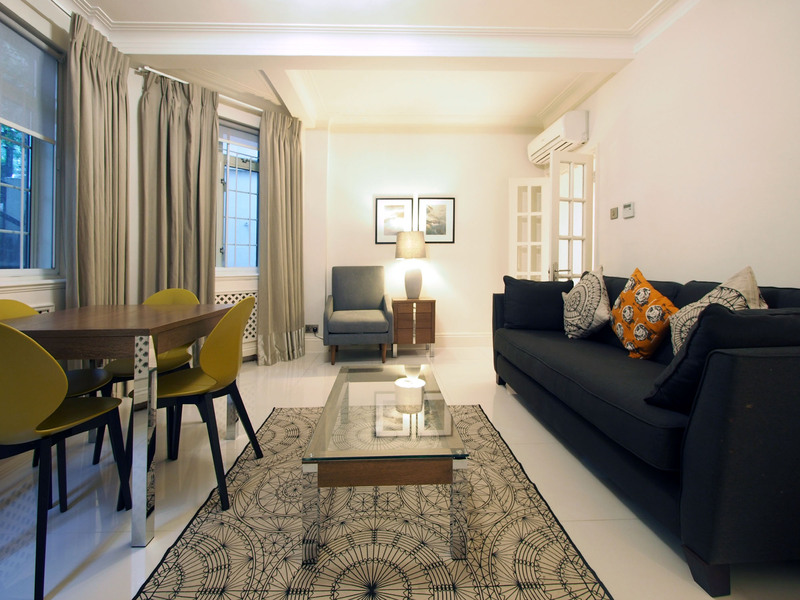 The apartment features a Living/Dining area with premium audio visual equipment,TV/DVD (with choice of satellite channels) and modern, fully equipped Kitchen with dishwasher and washing machine/dryer. 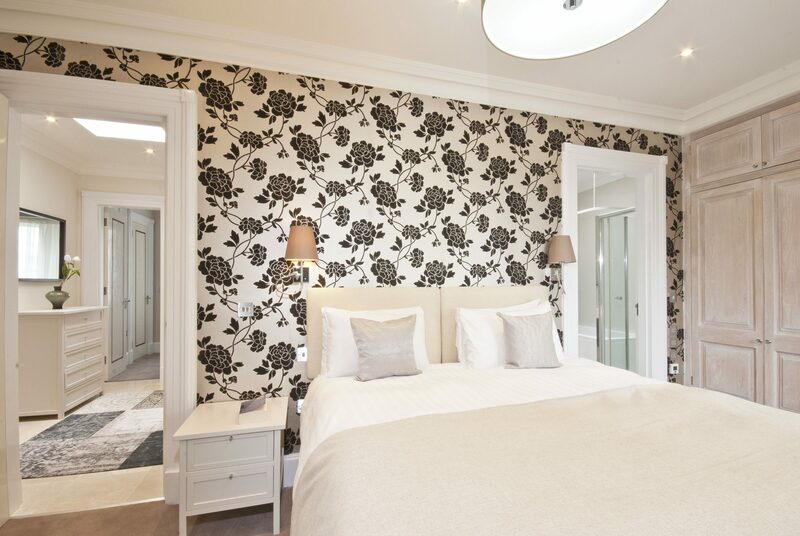 The Bedroom is fitted with a King-size bed and the Bathroom includes bath and power shower. 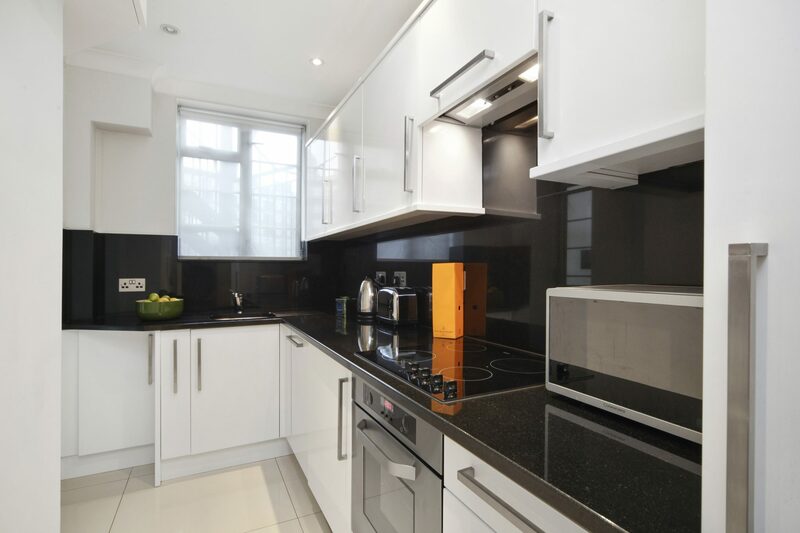 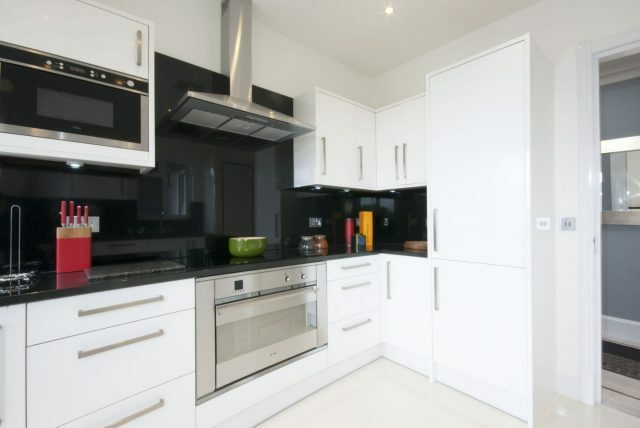 One Bedroom Superior apartment located on the Ground Floor featuring a spacious Living/Dining area with premium audio visual equipment, TV (with choice of satellite channels) and modern, fully equipped Kitchen with dishwasher and washing machine/dryer. Two Bedroom apartments features a comfortable living/dining area fitted with premium audio-visual system with flat screen TV and choice of free satellite channels. 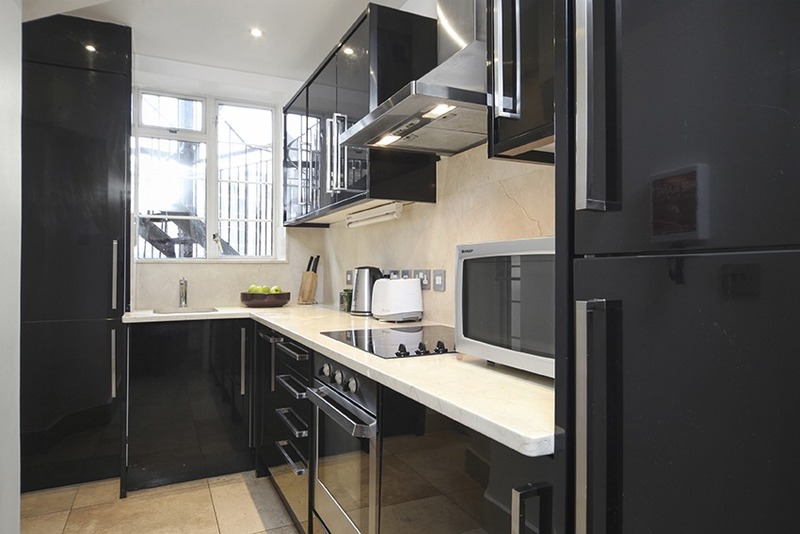 The Kitchen is fully equipped with modern appliances, including dishwasher and washing machine/dryer. 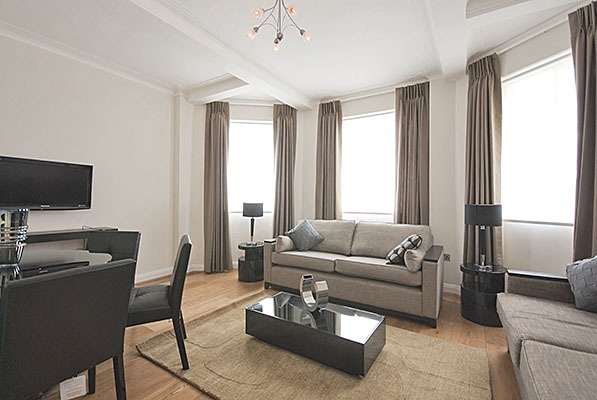 Two Bedroom Superior apartments located on the Ground and upper floors. 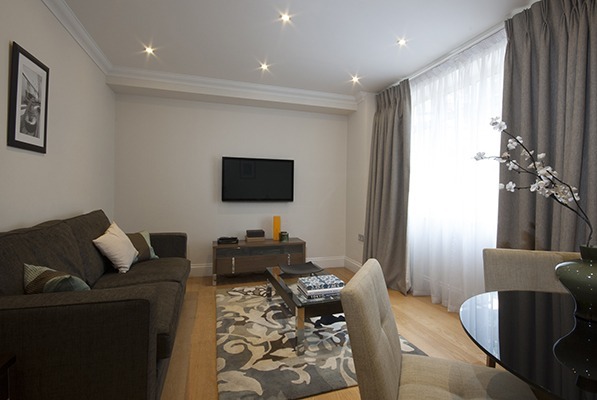 The apartments feature a generously sized Living/Dining area with premium audio visual system and flat screen TV/DVD (wide choice of free satellite channels). 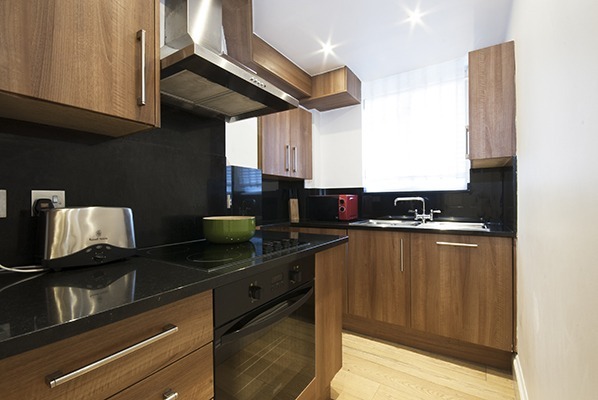 The modern Kitchen is fully equipped with appliances, including dishwasher and washing machine/dryer. 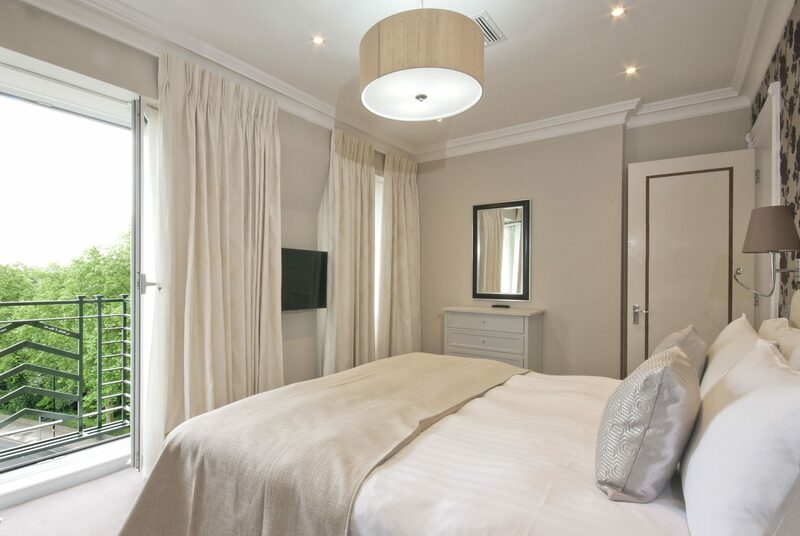 The Master Bedroom is fitted with a King-size bed and the second Bedroom with twin beds. 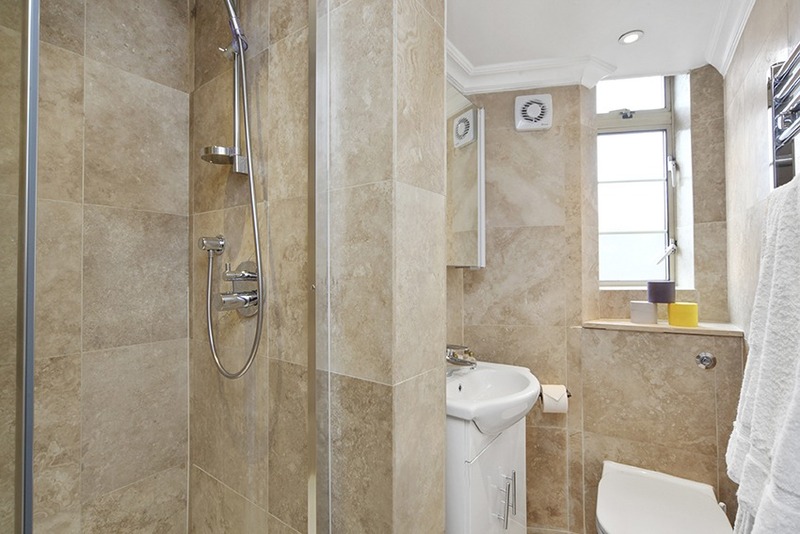 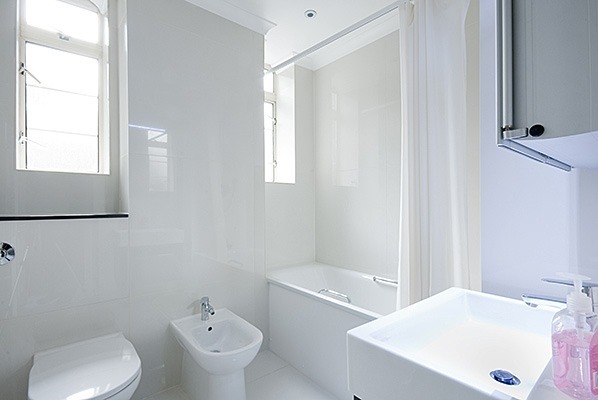 The Bathroom includes bath and power shower. 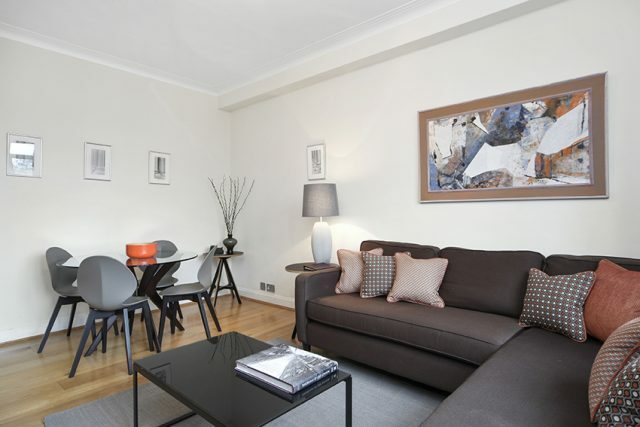 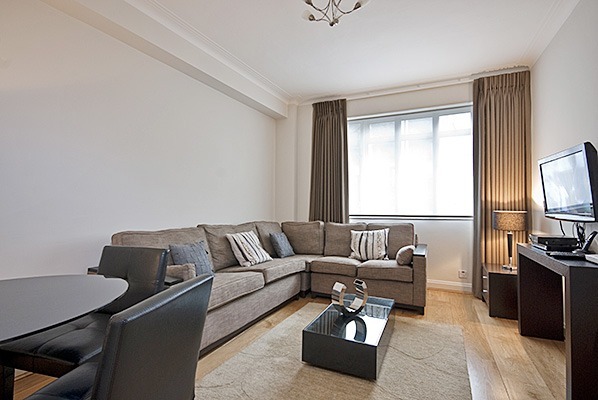 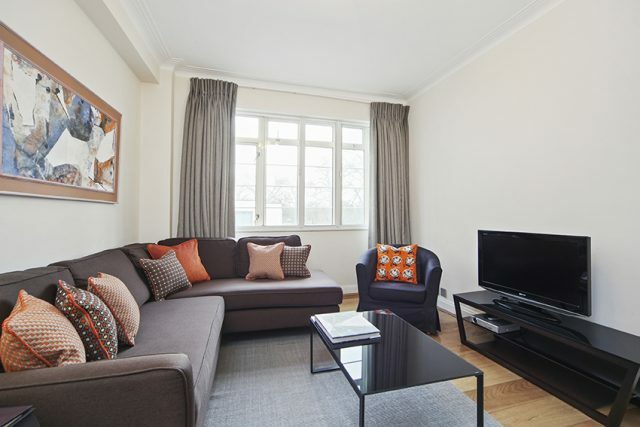 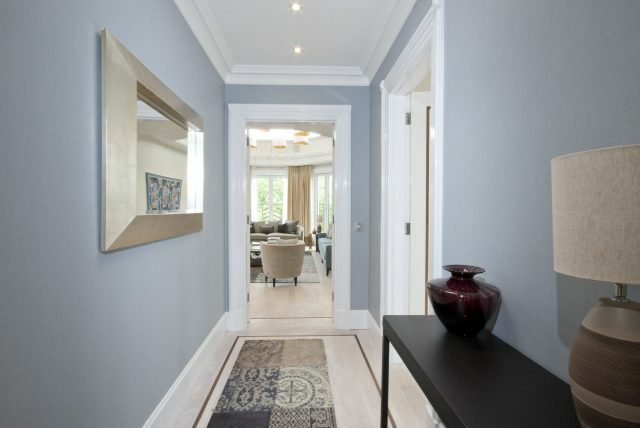 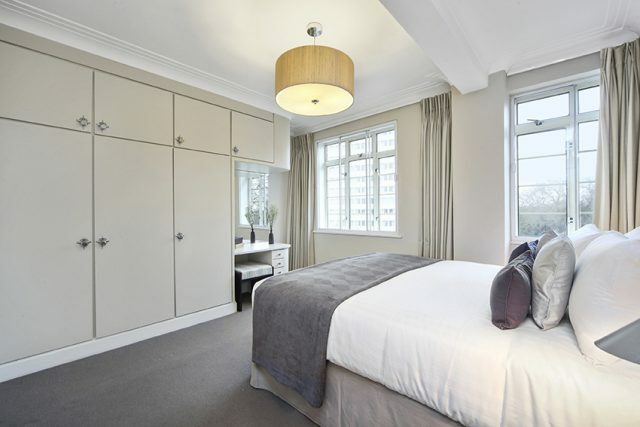 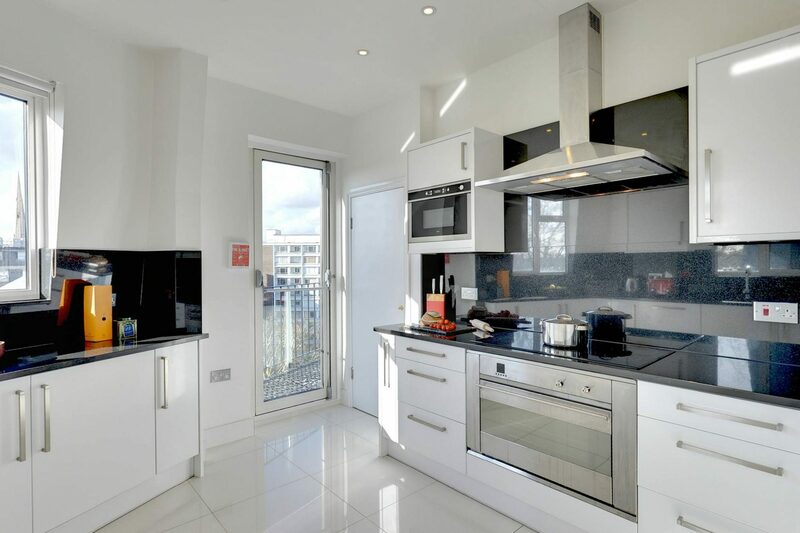 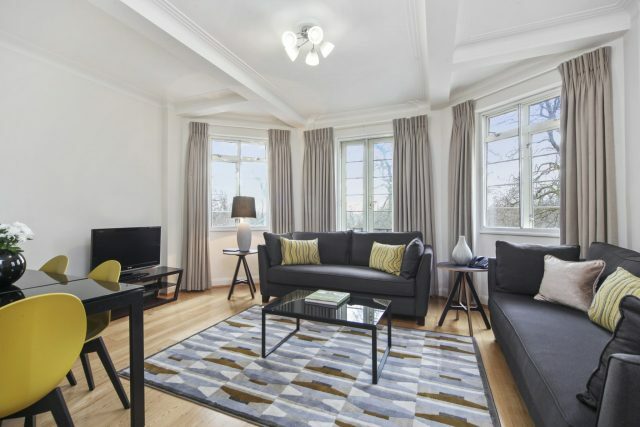 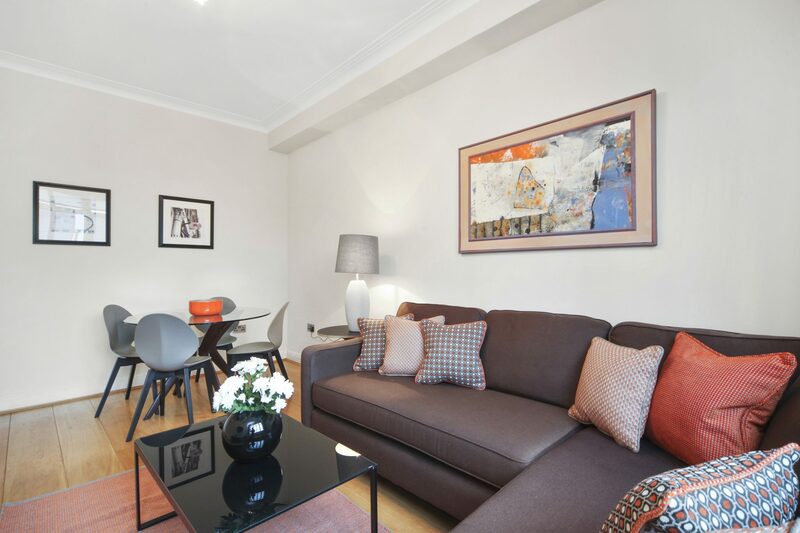 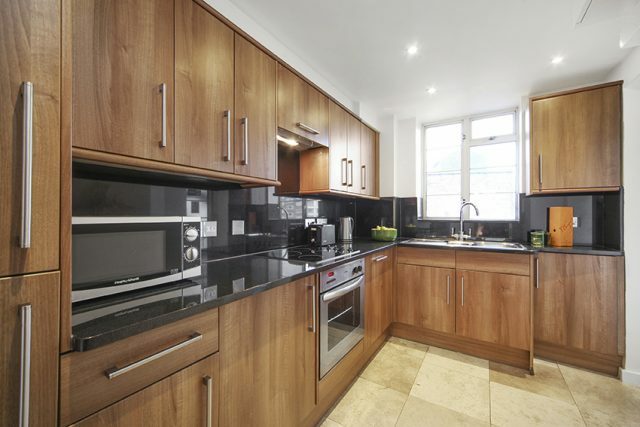 Three Bedroom Superior Apartments over look Hyde Park and offer more comfort and space – ideal for family stays. The spacious Living/Dining area includes premium audio-visual system with flat screen TV/DVD (and wide choice of free satellite channels) and the Kitchen is fully equipped with modern appliances including dishwasher and washing machine/dryer. 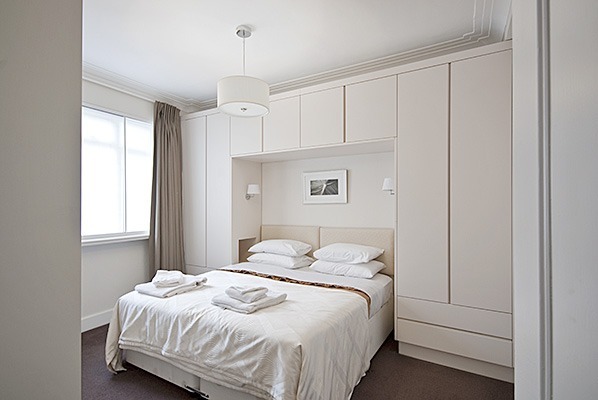 The Bedrooms are all fitted with King-size beds (one can be divided into twin beds, if preferred). The Master Bedroom has en-suite facilities with bath and power shower, and the second Bathroom is fitted with a power shower. 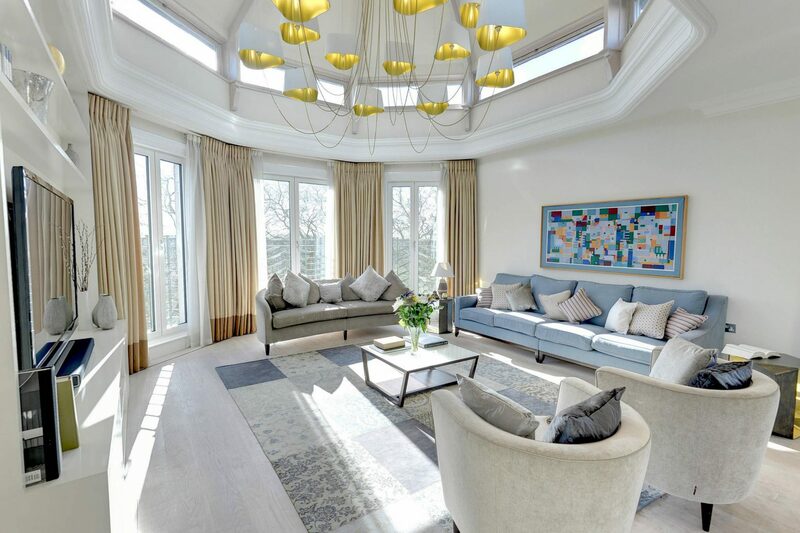 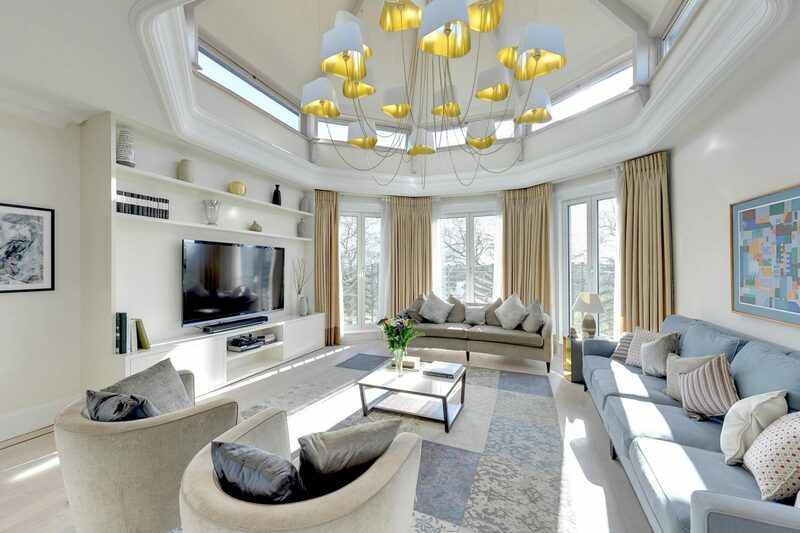 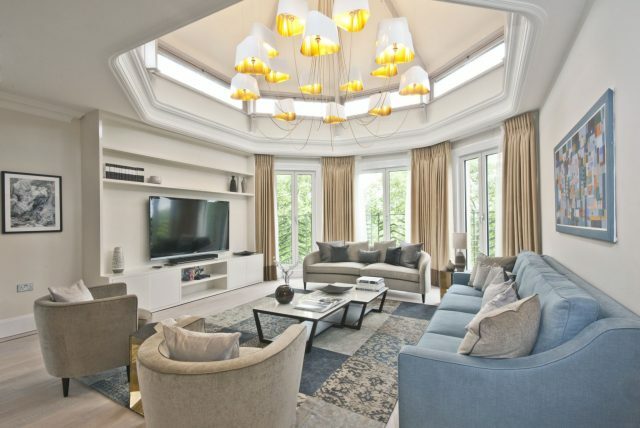 Penthouse Suite offering luxury, space and views of Hyde Park and the London skyline.. The generously sized living/dining area benefits from a high domed ceiling and maximum light and includes a premium audio-visual system, flat-screen TV/DVD (60 inch screen and selection of free satellite channels). 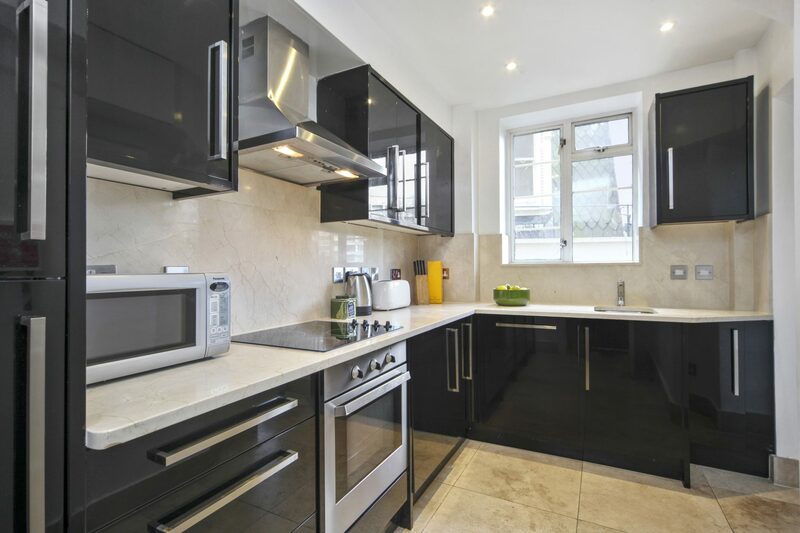 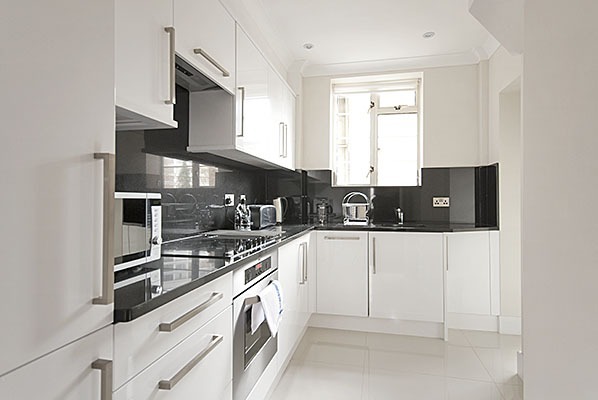 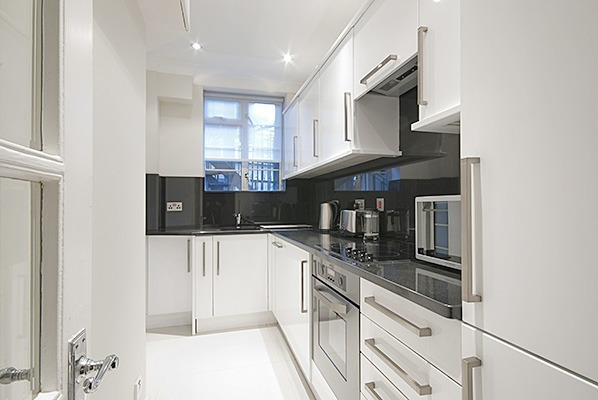 The fully-equipped Kitchen is fitted with modern appliances including dishwasher and washing machine/dryer. 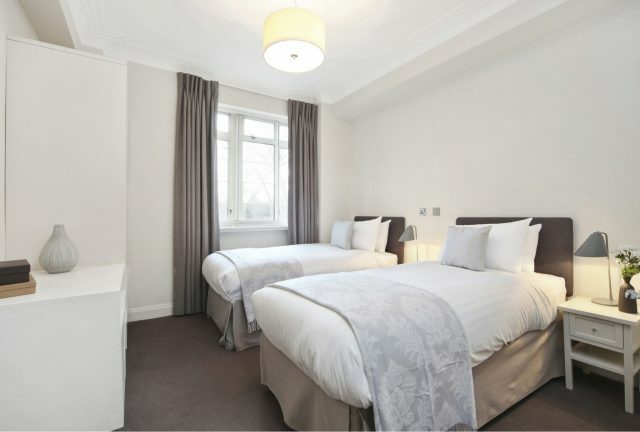 3 Bedrooms are fitted with King size beds and the 4th bedroom has a Double sized bed. TV and built-in wardrobes for storage. 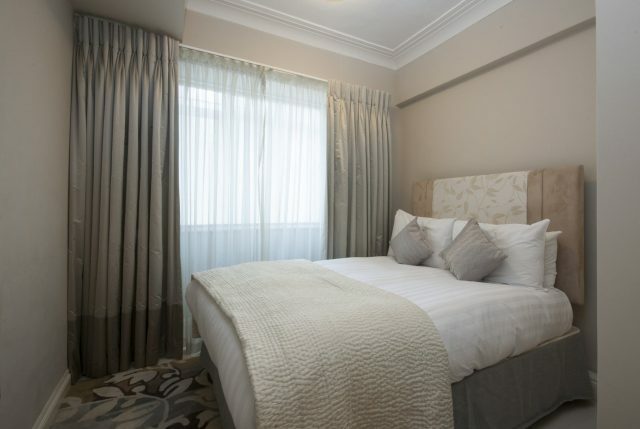 The Master Bedroom has an en-suite Bathroom with Walk in bath and a Separate shower and second Bedroom also benefits of an en-suite shower room also a Family Bathroom include bath and power shower. 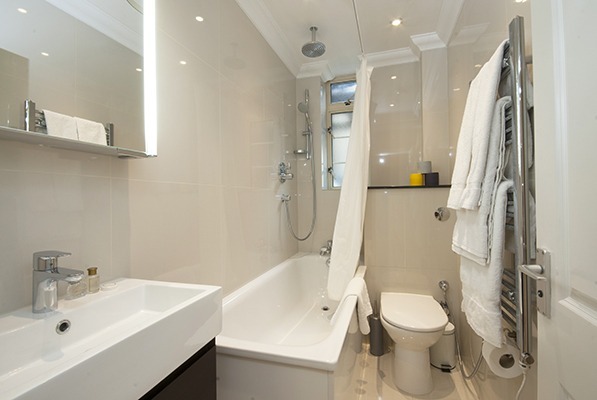 The apartment also has an additional guest toilet. 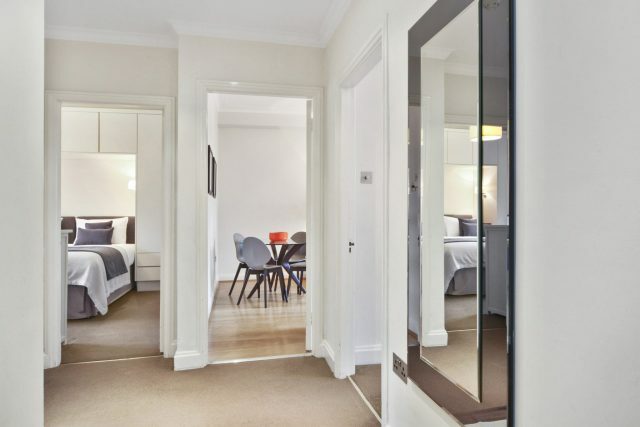 Bayswater is one of London’s most cosmopolitan areas, home to a very eclectic and diverse population. The area is lined with Victorian stucco terraces, attractive streets and garden squares. 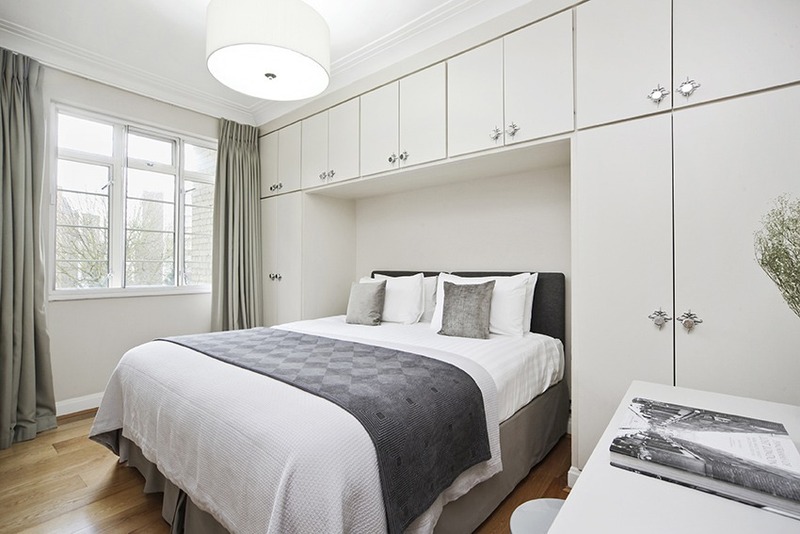 Aside from easy access to Oxford Street, Hyde Park, Notting Hill and Westfield Shopping Centre, Bayswater’s biggest advantage is its convenient location for travel links in and out of London and in particular, Heathrow Airport. 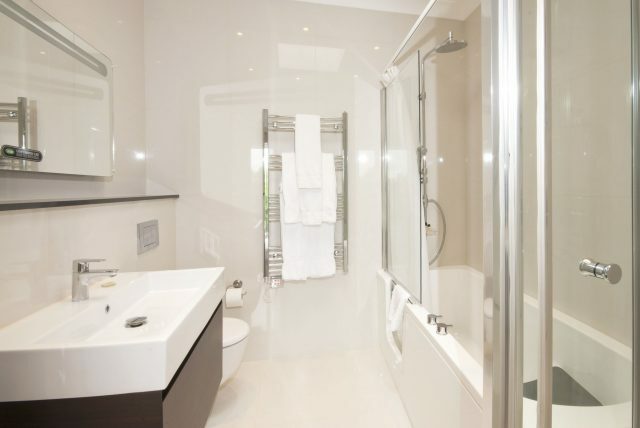 The Heathrow Express runs from Paddington (mainline) Station every 15 minutes (see below for more information). 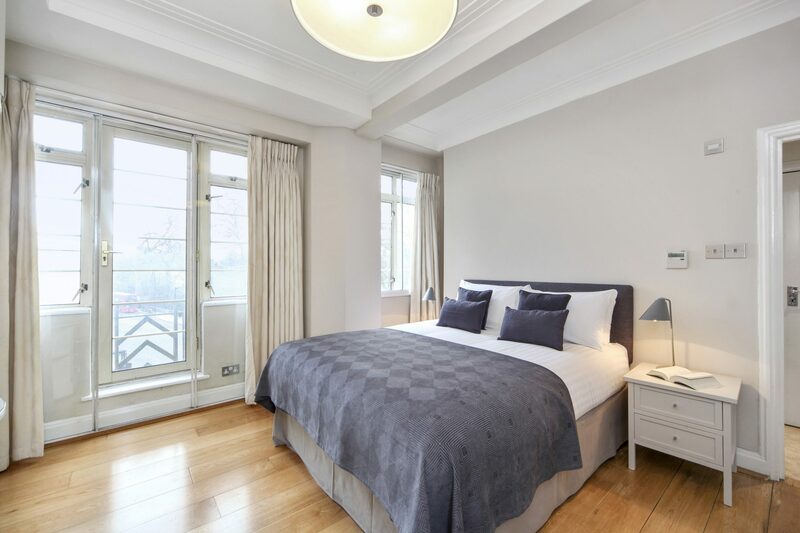 A Short History: Previously belonging to the Abbey of Westminster, the name ‘Bayswater’ is believed to have originated from Bainiardus, an associate of William the Conqueror (who was crowned the first King of England in 1066) who also gave his name to Baynard’s Castle. 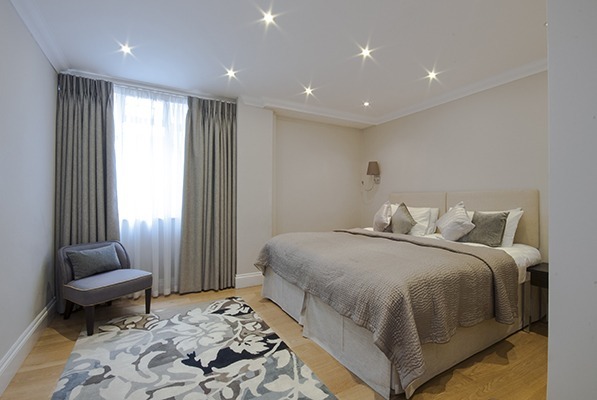 The area became known as ‘Baynard’s Watering’ and later become abbreviated to Bayswater, was a remarkable source of spring water, supplying Baynard’s household and cattle. Many famous residents have lived within this area through the decades, including Alexander Fleming (the inventor of penicillin), Winston Churchill, Tony Blair, Keira Knightley, Sting and the artist Sir John Tenniel (Alice in Wonderland sketches). 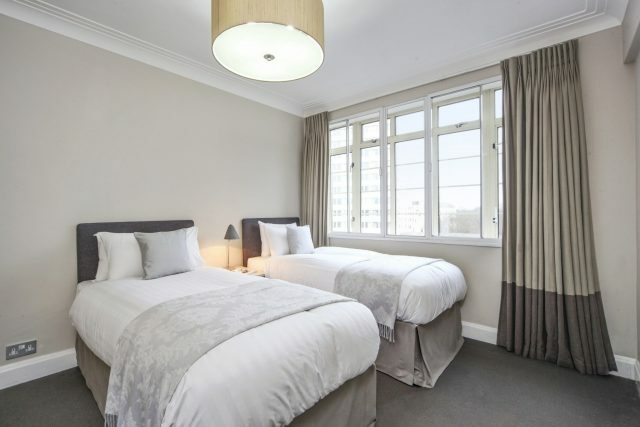 St Sophia’s Cathedral (Moscow Road, Bayswater) – St Sophia’s Cathedral was the first Orthodox Church in London, built in the seventeenth century to serve the first Greek community in the area. 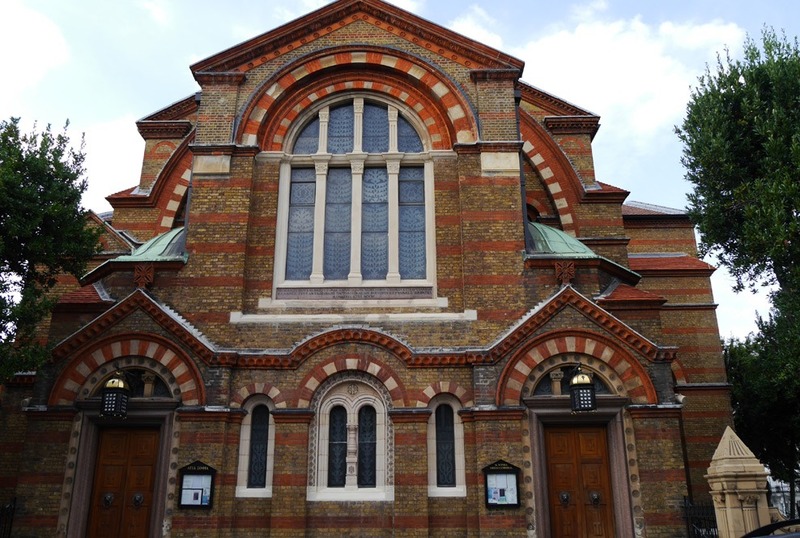 Designed by architect, John Oldrid Scott, the church was consecrated on February 5, 1882, by the Archbishop of Corfu. 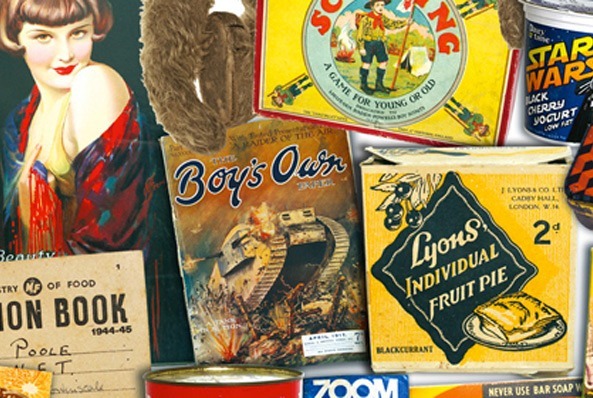 Museum of Brands, Packaging and Advertising – if packaging, logos and advertising is your thing or you’re studying marketing, this museum is worth a visit. Around the corner from Portobello Market the collection holds over 12,000 items and displays the history of consumer culture from the Victorian era up to the present day. 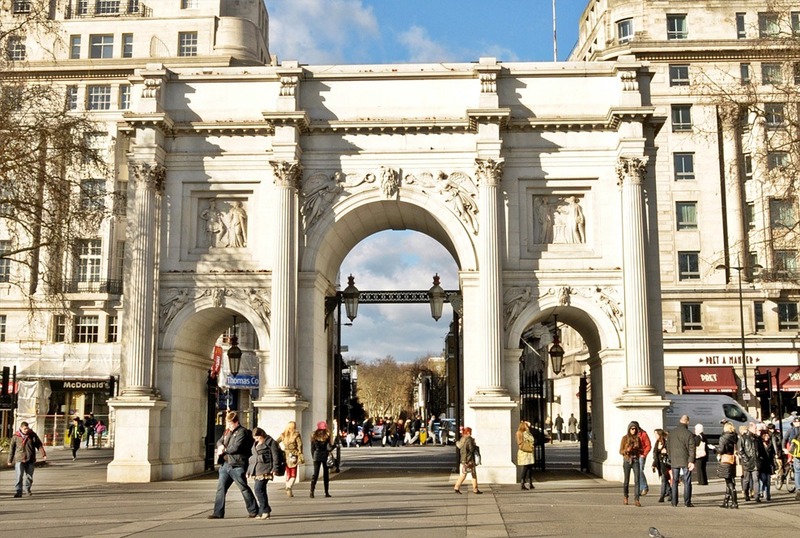 Marble Arch – Built in the 19th Century, the Marble Arch was founded as the state entrance to the cour d’honneur of Buckingham Palace. 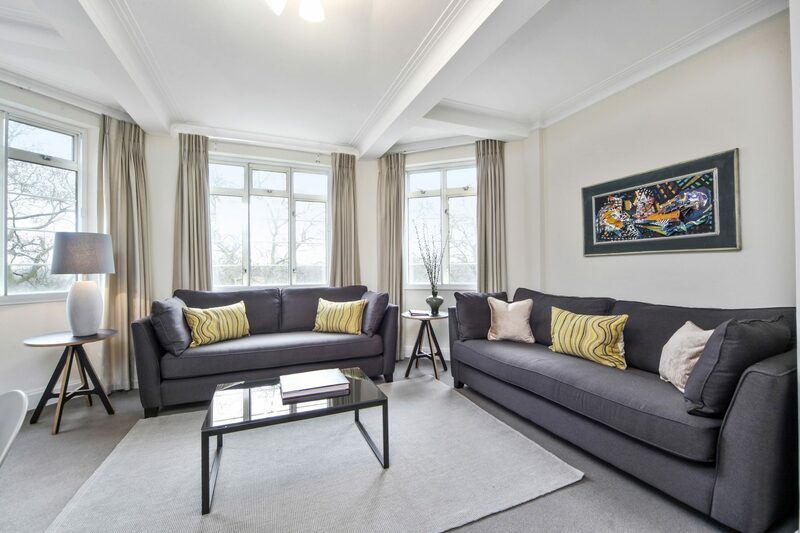 Originally only members of the Royal Family and the King’s Troop were permitted to pass through, which today still happens on ceremonial occasions. 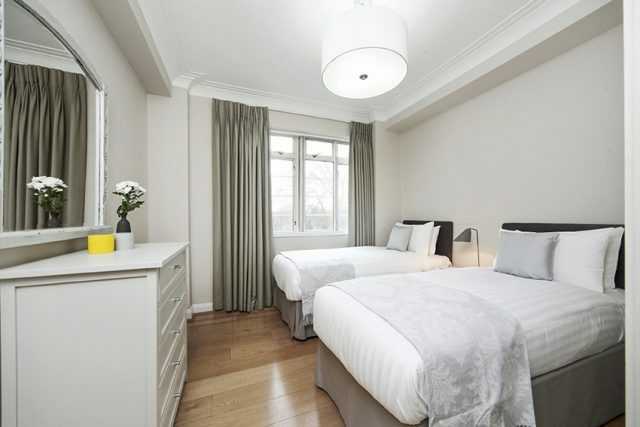 However, for visitors, it’s a popular landmark located at the top of Oxford Street (and a good meeting point if needed).